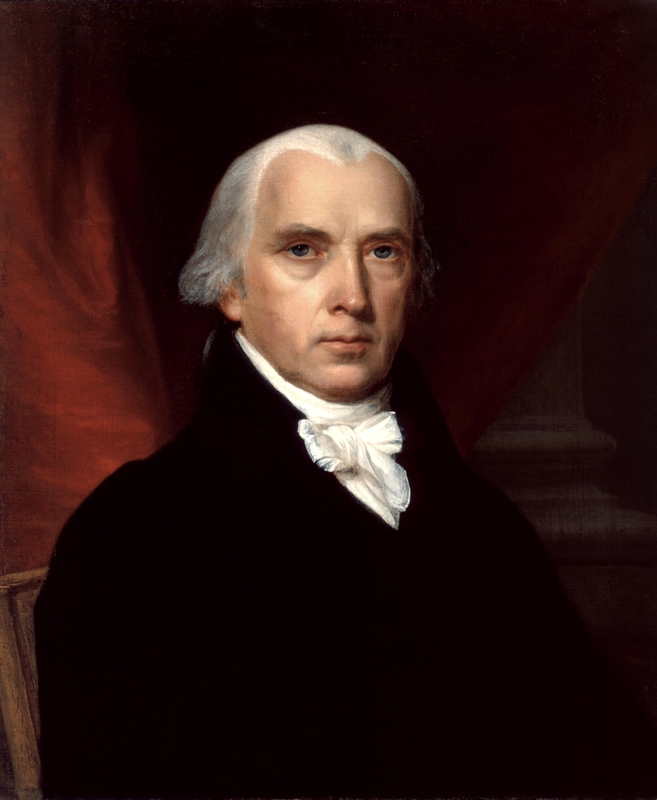 Presidential Oddities: James Madison the 4th President 1809 – 1817. All American Presidents have some kind of oddity associated with them or their administration. The 4th President of the United States, James Madison was no exception. Madison was President from 1809 to 1817. He was elected twice under the Democratic-Republican banner. By today’s standards that party name alone is an oddity. In that era two main parties contested the Presidency. The Federalists who stood for a strong central government and the Democratic-Republicans who stood for States rights first, and believed the national government must respect those rights. When he was nominated and ran for President in 1808 his running mate was George Clinton. The oddity was that he was the sitting Vice President. He served under President Thomas Jefferson. He ran for the presidential nomination against Madison, but ended up being nominated by his party as Madison’s vice presidential candidate. This was the first of two times this happened, the other being the re-election of John C. Calhoun in 1828. Madison himself served under Thomas Jefferson, the incumbent president, as his Secretary of State. When Jefferson did not seek a third term, Madison ran for his party’s nomination. In 1812 Madison was again nominated, but Vice President George Clinton died April 20, 1812. His party’s caucus nominated Governor John Langdon of New Hampshire to be his new running mate. Governor Langdon declined the nomination because of his age, 70 years at the time. A second caucus nominated Governor Elbridge Gerry of Massachusetts for vice president and he accepted even though he was relatively old at 68 years. This ticket of Madison-Gerry was elected and inaugurated. On November 23, 1814 Vice President Gerry fell ill while in the Capitol. He went to his boarding house nearby and died later in the day. President James Madison is the only President to have two Vice Presidents die in office. During both his terms the Vice Presidency was vacant for some time. There was no provision for filling the vacancy at that time. Over the years the office of Vice President has been vacant many times. The Twenty-Fifth Amendment to the United States Constitution ratified February 10, 1967 established procedures for filling a vacancy in the office of Vice President. Have served in the House of Representatives. Requested a Declaration of War from Congress (1812). Wear long trousers instead of knee breeches. I find these oddities and what-ifs of history to be fascinating. Stay tuned for more posts. Comments are always appreciated. You are currently browsing the WRITINGS & RAMBLINGS blog archives for March, 2015.